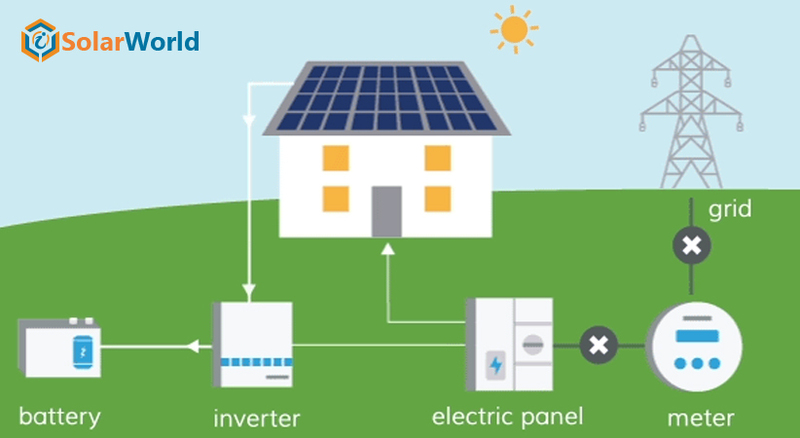 Do you think that selling a solar PV system is an easy task? Wait, you are then definitely unaware of the fact that prospective solar customers are now very much concerned about everything- from ROI to how this system will affect the aesthetics of their house. Clients are now likely wanting to know even what having a PV system will do to the value of their homes if they want to sell their house now or in future. Therefore, your team needs to have in-depth knowledge about the benefits of installing solar in-house. The more specific knowledge you have, the better are your chances of attracting customers. A number of studies have recently come out with compelling data about how solar increases home value. To help a prospective client feel confident, this information is undoubtedly important. University of California’s Lawrence Berkeley National Laboratory (LBNL) conducted a research under the name of ‘Selling into the Sun’, which revealed that homes with solar sold for more than houses without it. The Price Premium Analysis of a Multi-State Dataset of Solar Home analyzed around 22,000 home sales in 8 states; around 4,000 among these included PV system from 2002 to 2013. According to the study, each watt of solar added an average of $4 to the home’s value in California; an average of $3 per watt elsewhere. Following this, home selling price has also been increased up to $20,000 in California ($4 x 5,000 W for the average system size) and $15,000 outside California ($3 x 5,000 W). Another similar study‘An Analysis of Solar Home Paired Sales Across Six States’, published in ‘The Appraisal Journal’ also found a similar result. The journal examined sales of home with solar systems in six major states from 2010 to 2014 and found that those properties, which have PV systems installed, sold at a premium in all of the markets. The average premium was 3.74% of the average sale price, which was approximately $14,329 per home.The premium as a percentage of the property’s selling price is very dependent on the size of the solar system and the home’s price range. the multiple listing systems (MLS) is also a major factor that posted the house had to include information on the PV system to factor into the value of the home during an appraisal. An earlier NREL study looked at high-performance homes in California and found that homes with PV systems sold 20% faster (and for 17% more) across several subdivisions built by different builders. buyers were more likely to choose that house over others without a solar system was already installed and factored into the price. If you wish to help your clients understand some of the metrics used to quantify the value of a home solar system, iSolarWorld(iSW)is a good place to start. Through iSW, you will also be able to calculate all of the financial metrics easily, including payback period and projected cash flows over the life of the system and can easily communicate that value in your sales proposals. Hurry! Enlist your company with us without any cost and expand your footprint Now.